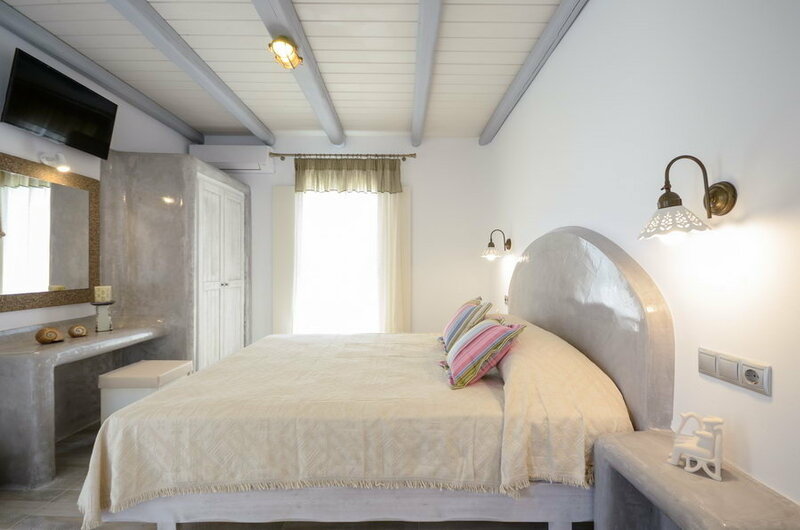 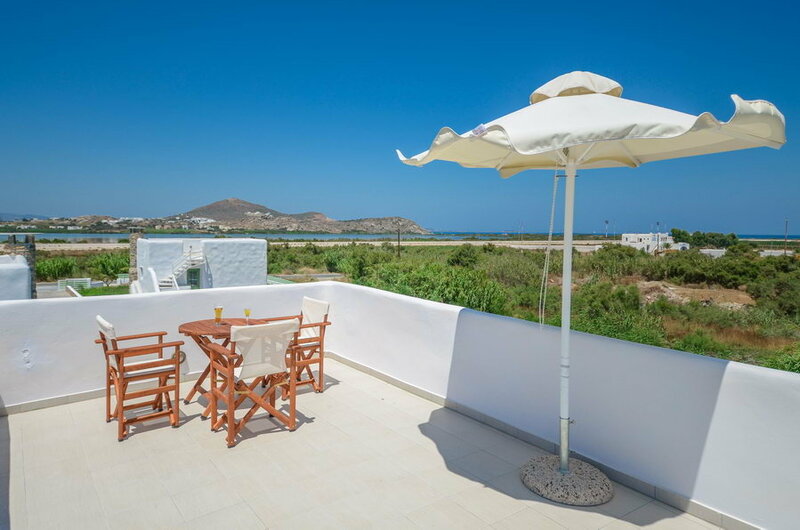 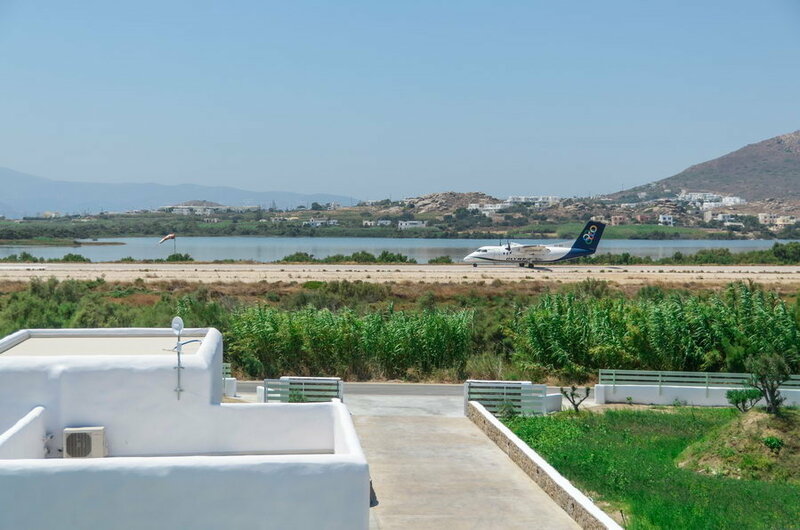 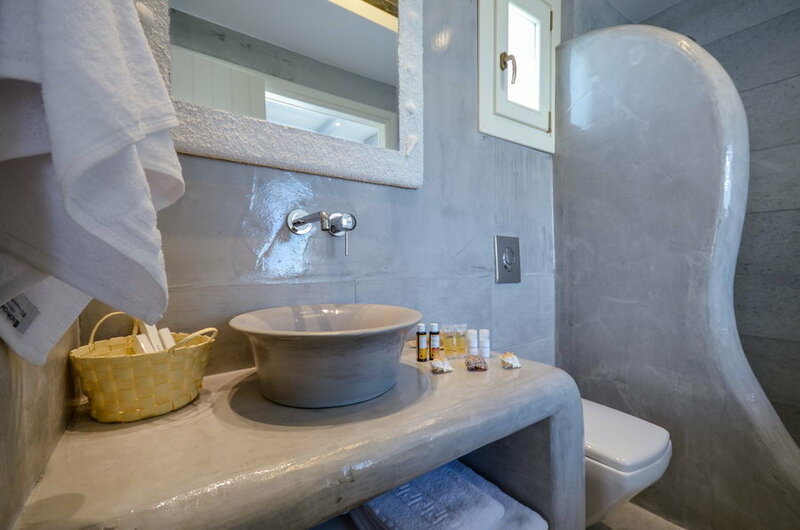 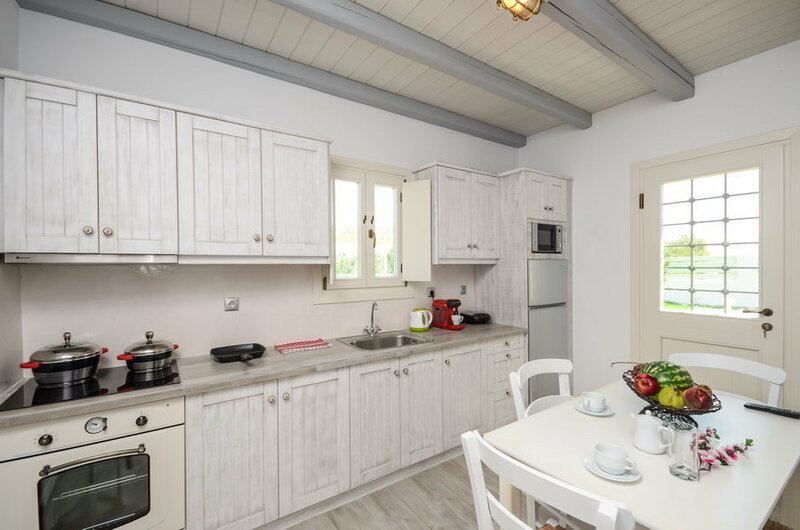 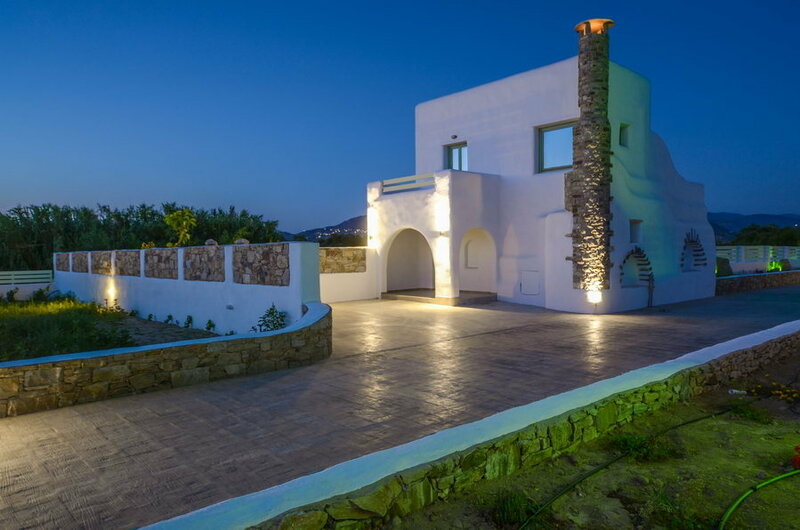 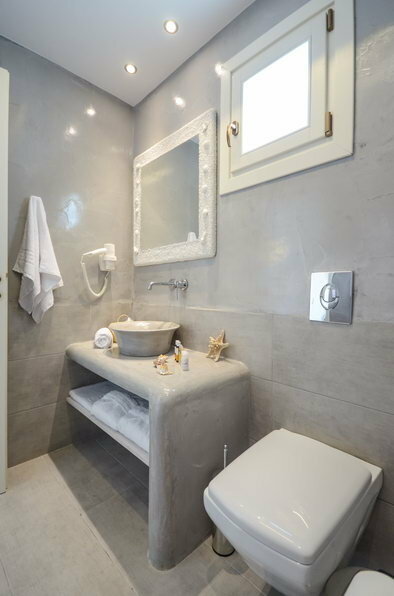 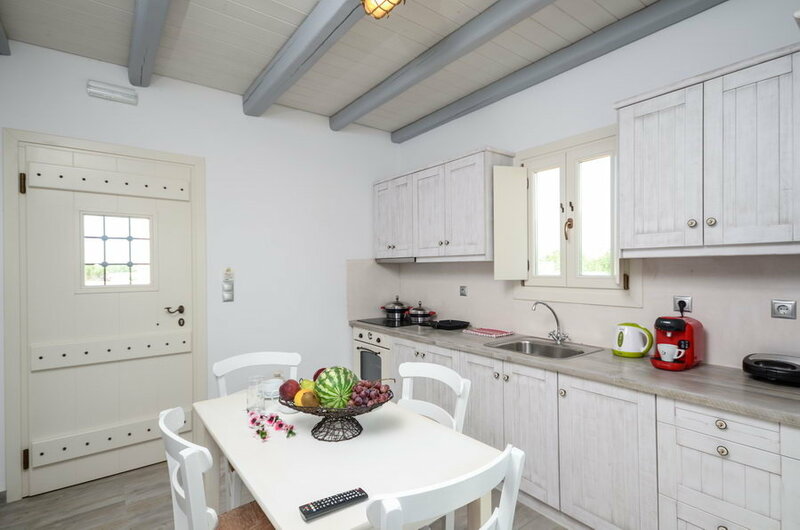 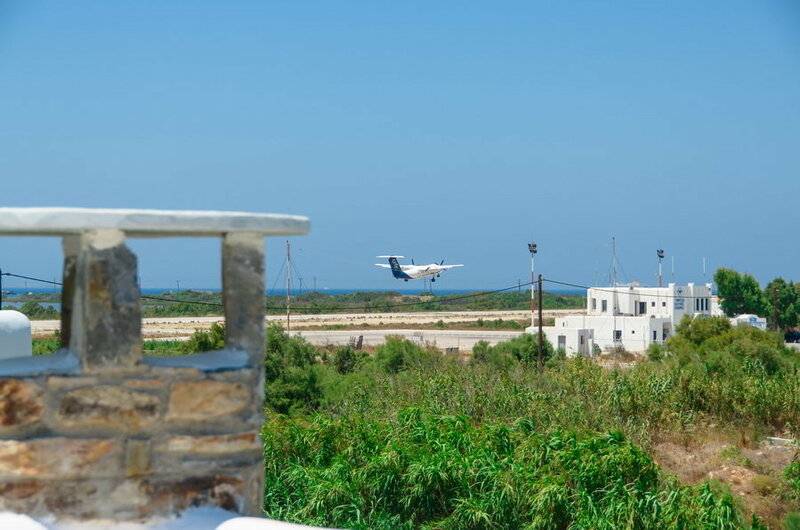 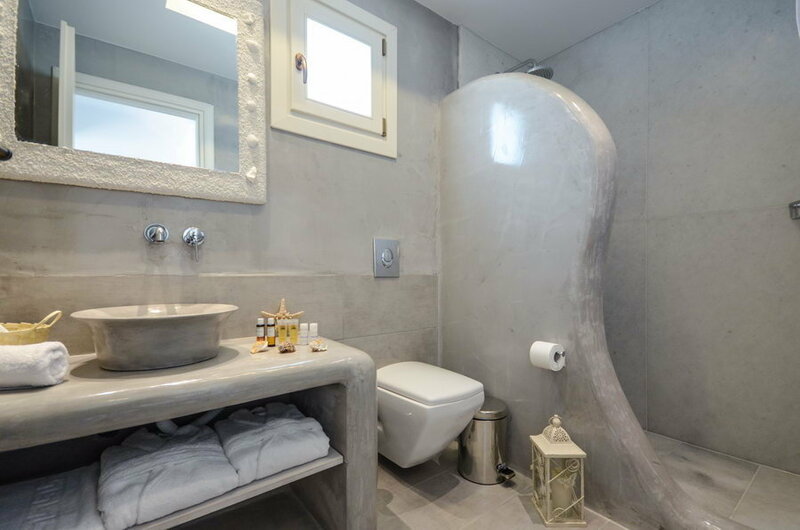 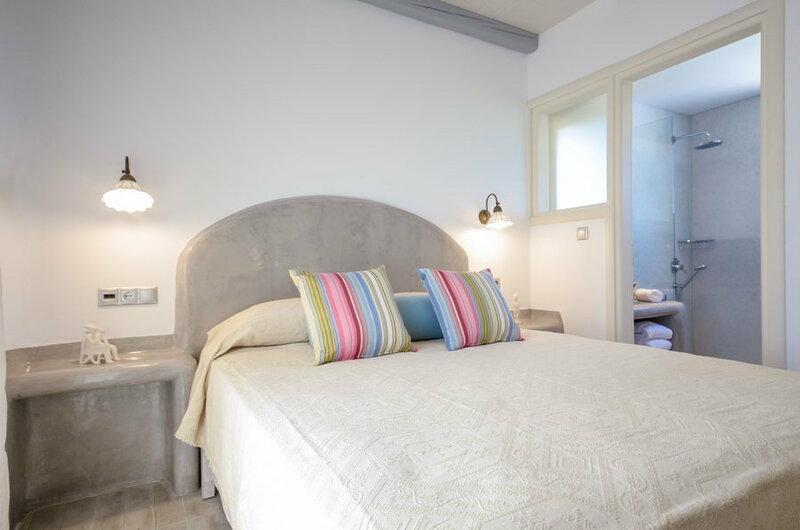 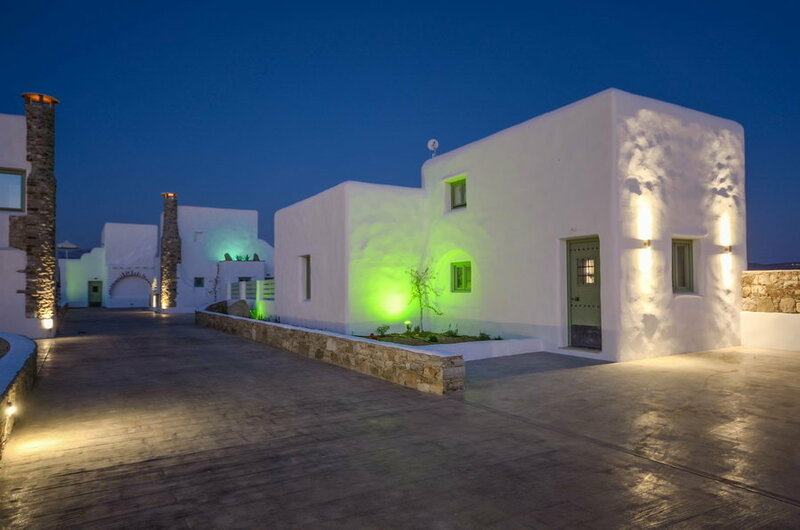 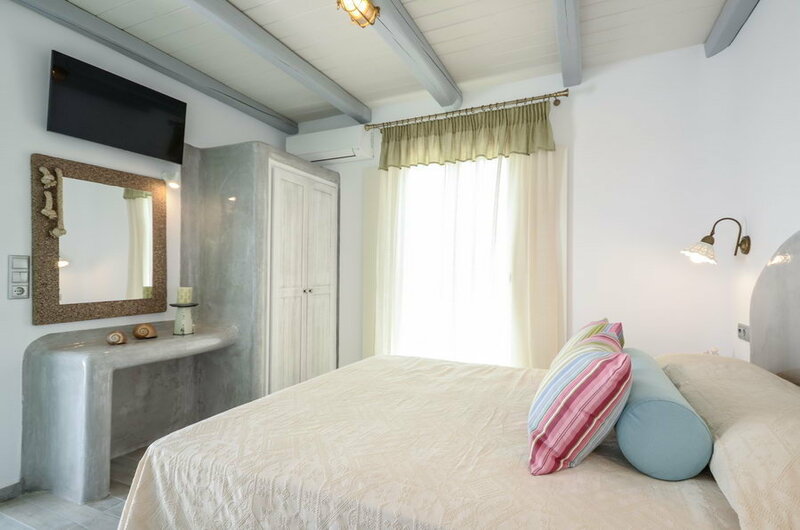 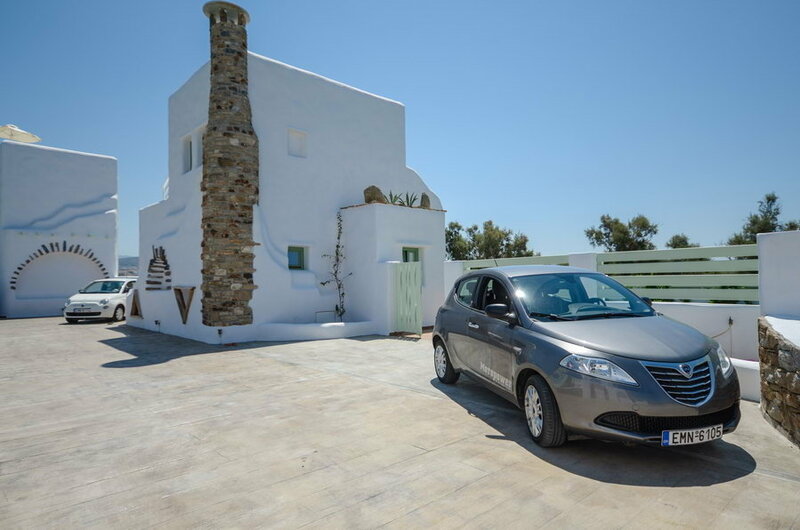 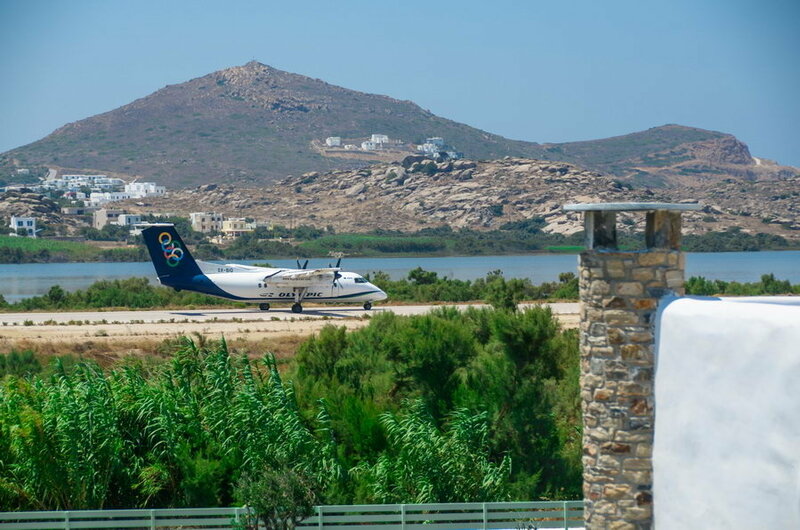 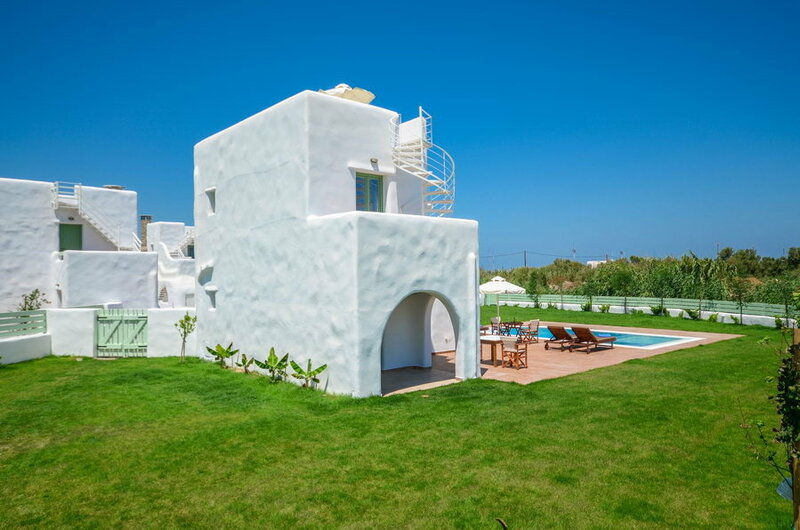 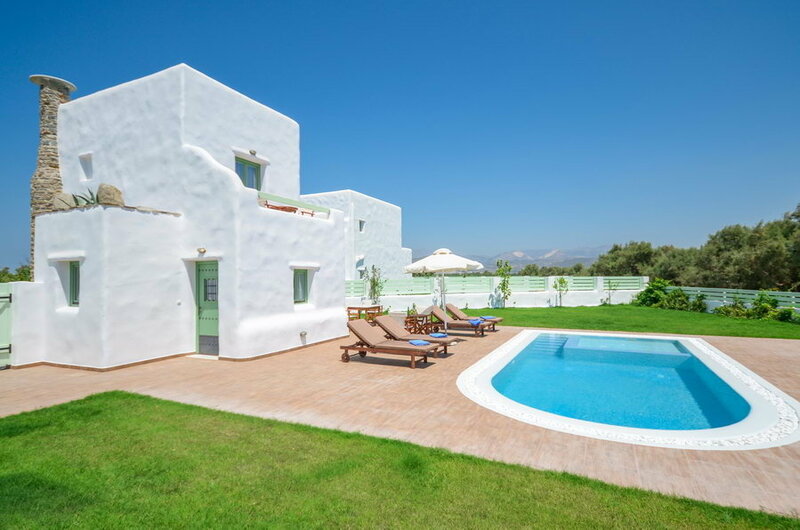 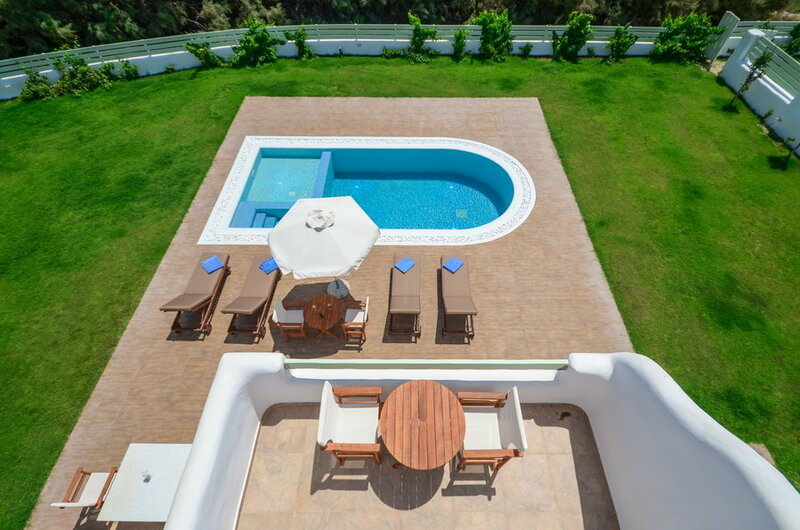 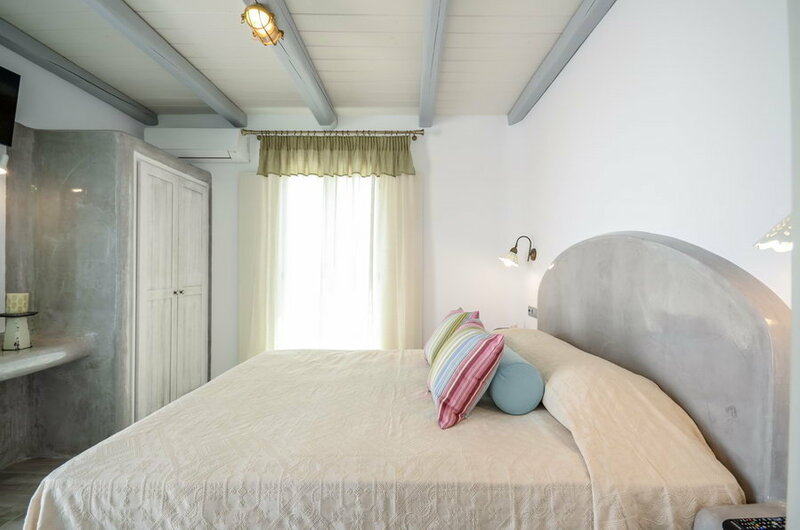 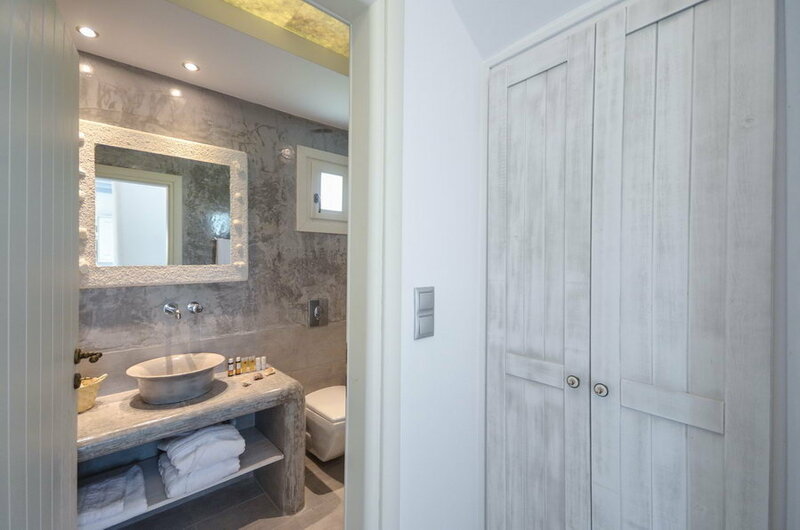 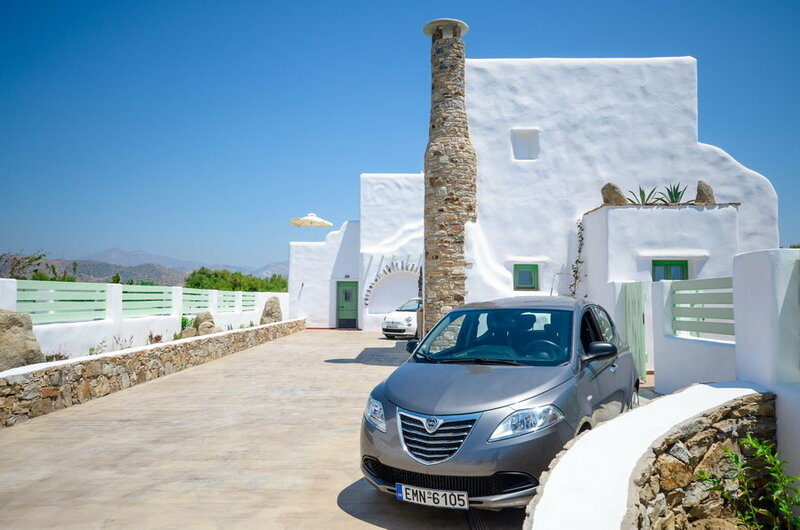 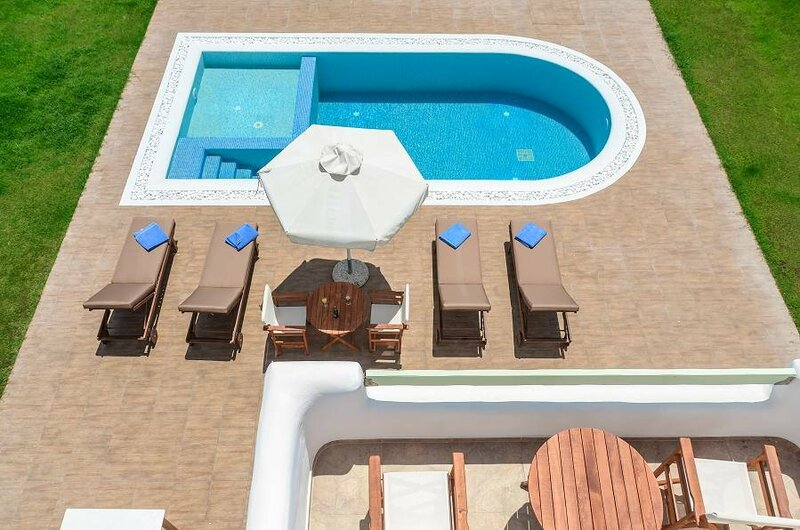 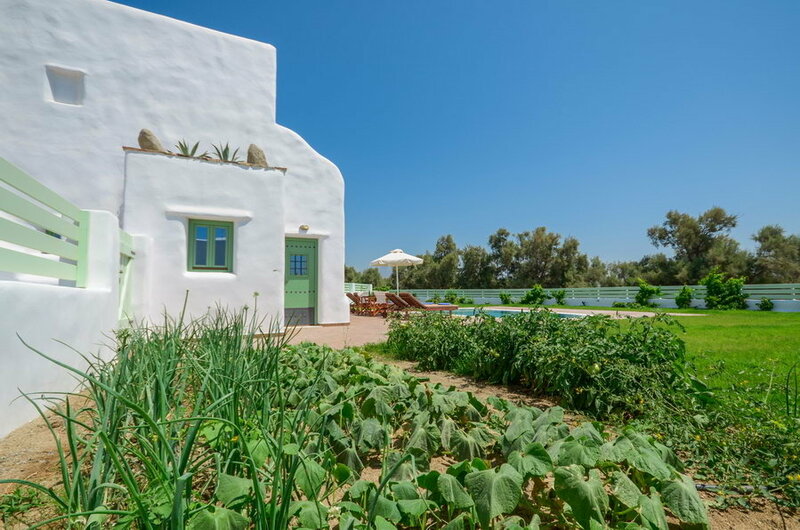 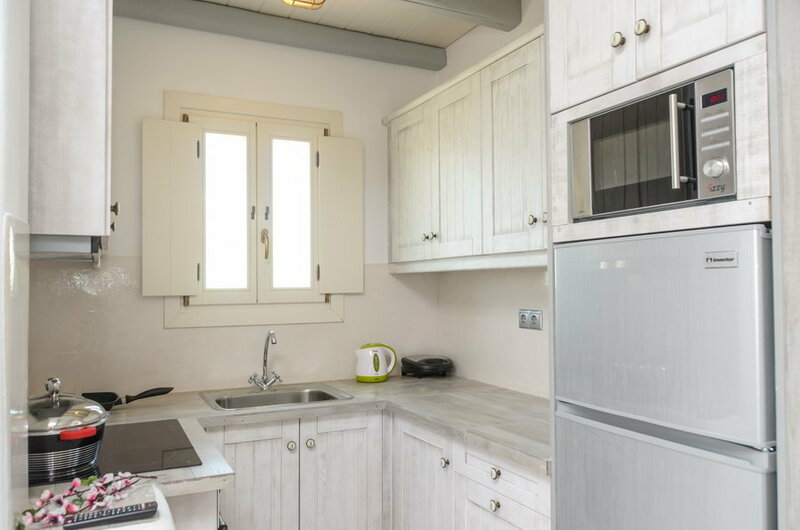 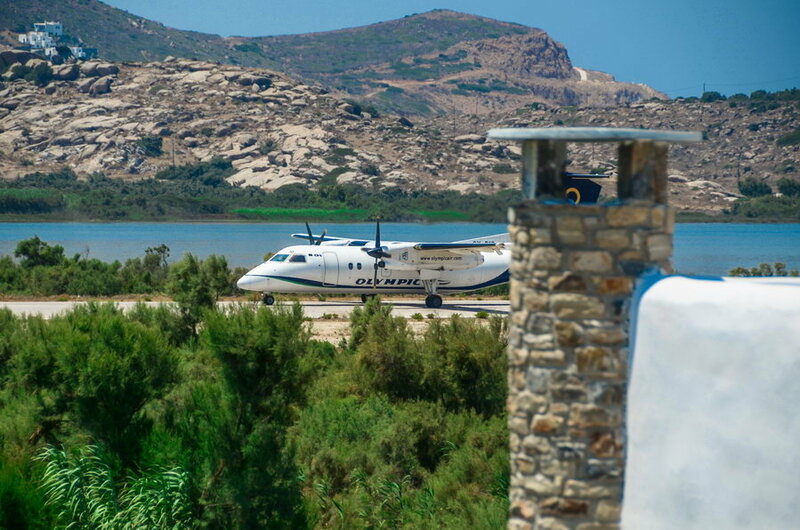 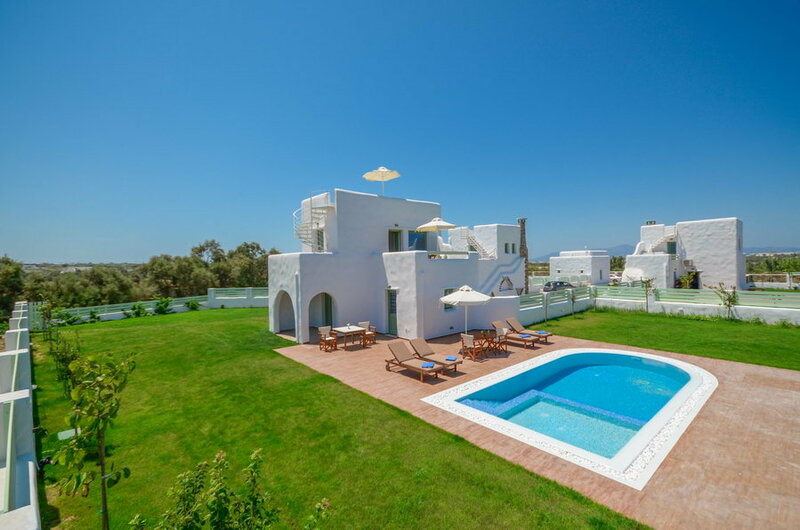 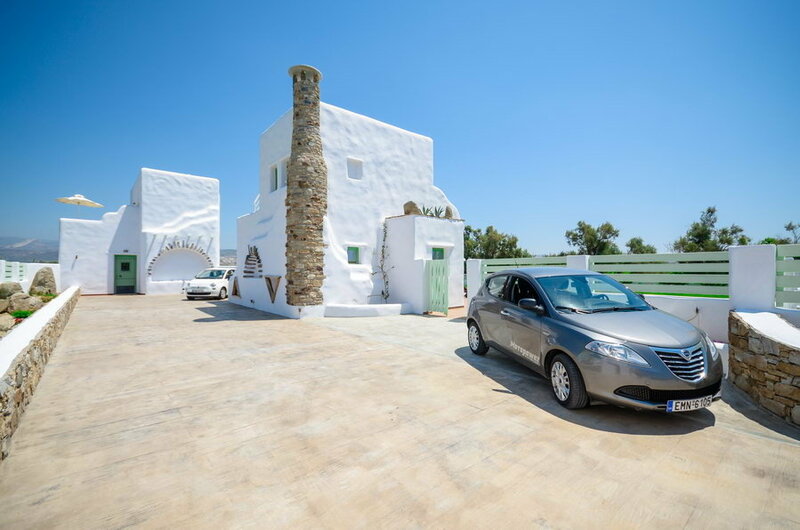 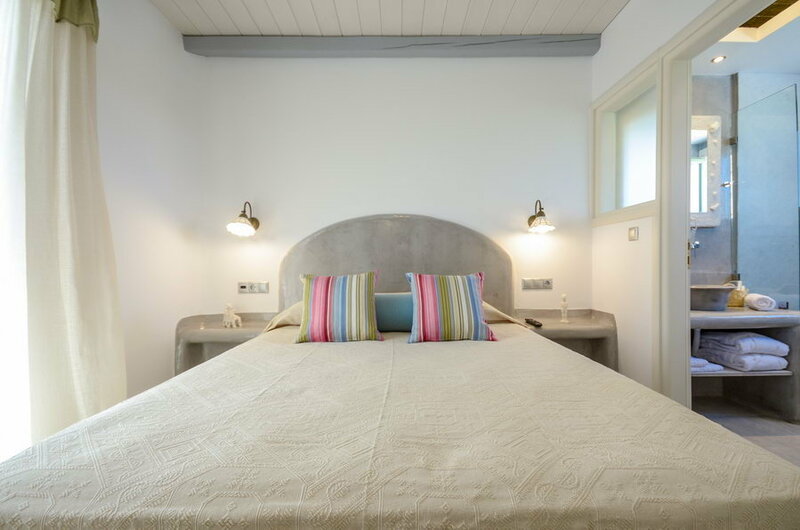 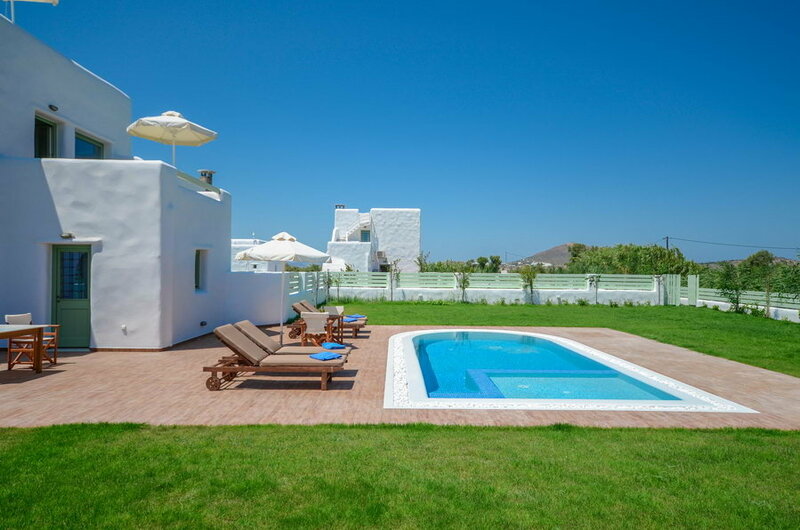 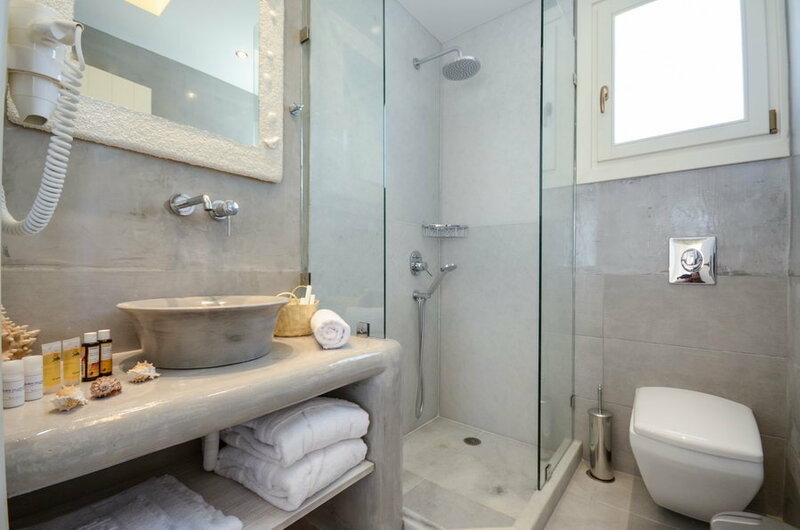 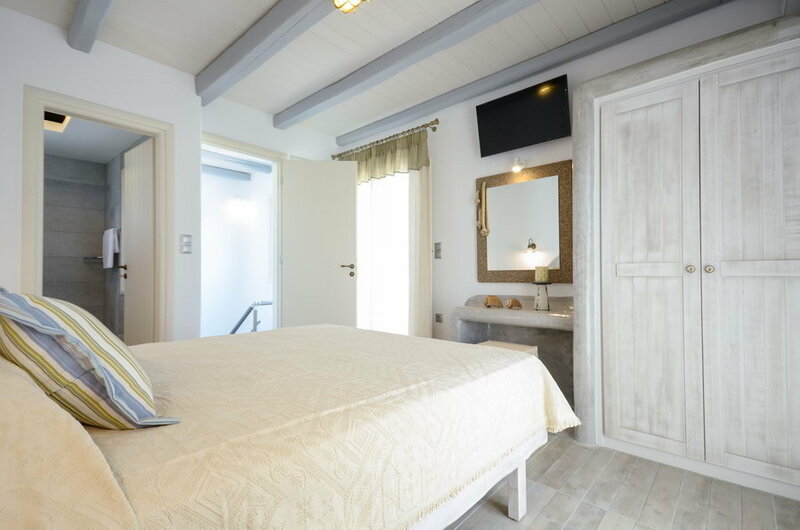 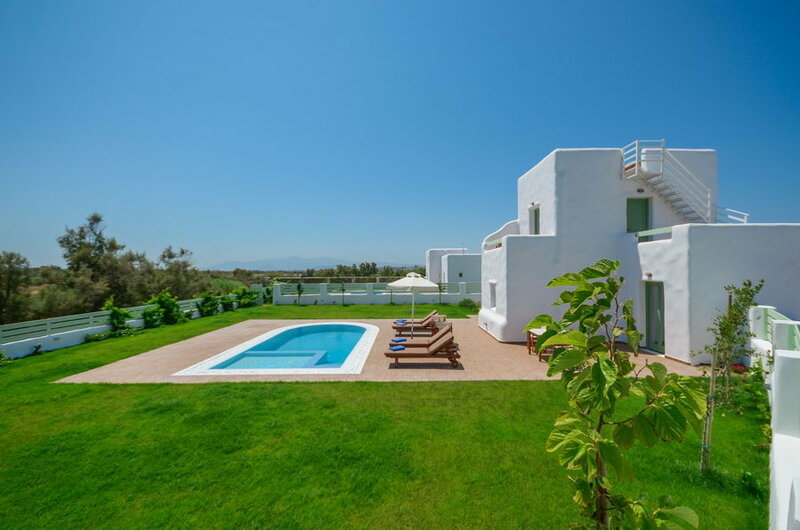 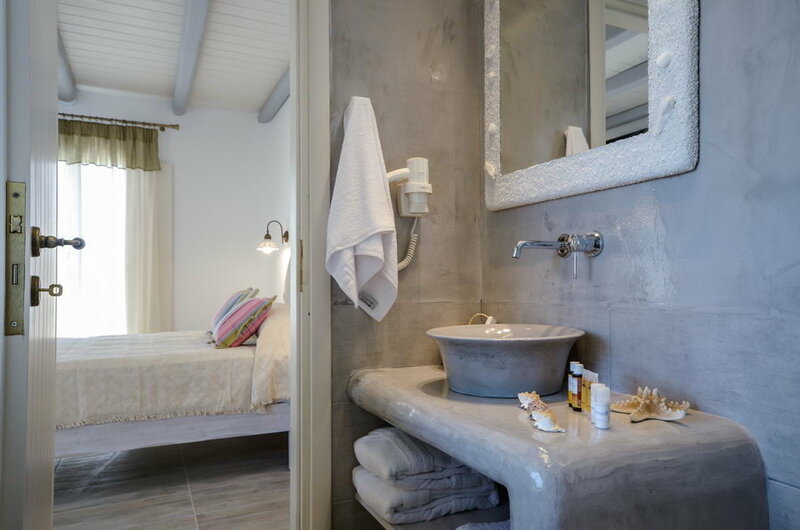 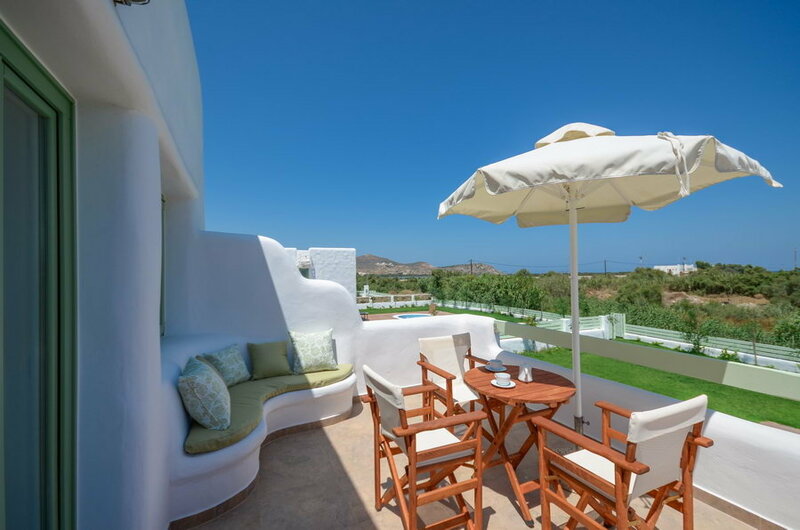 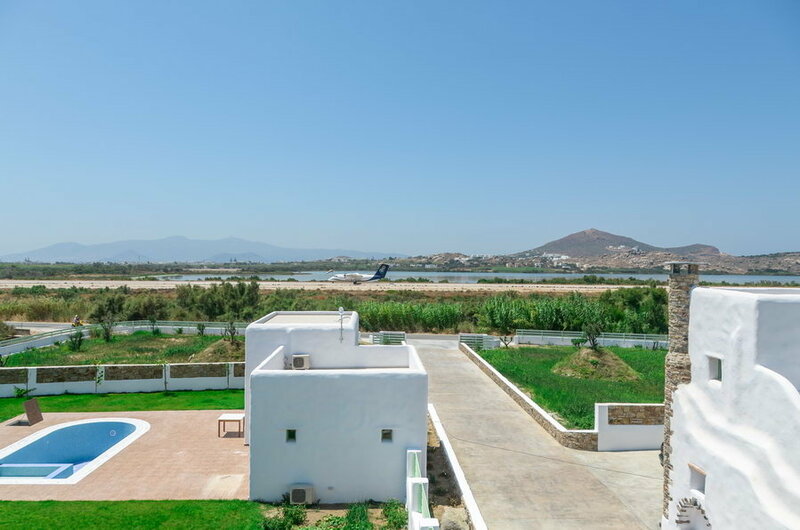 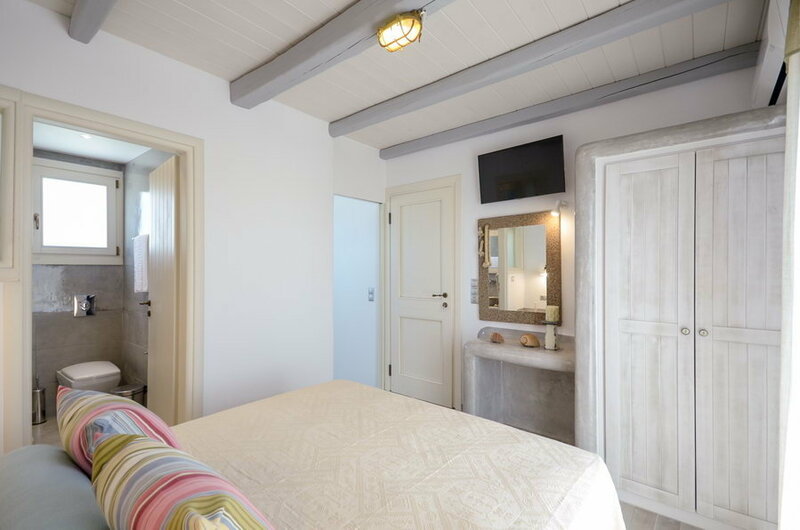 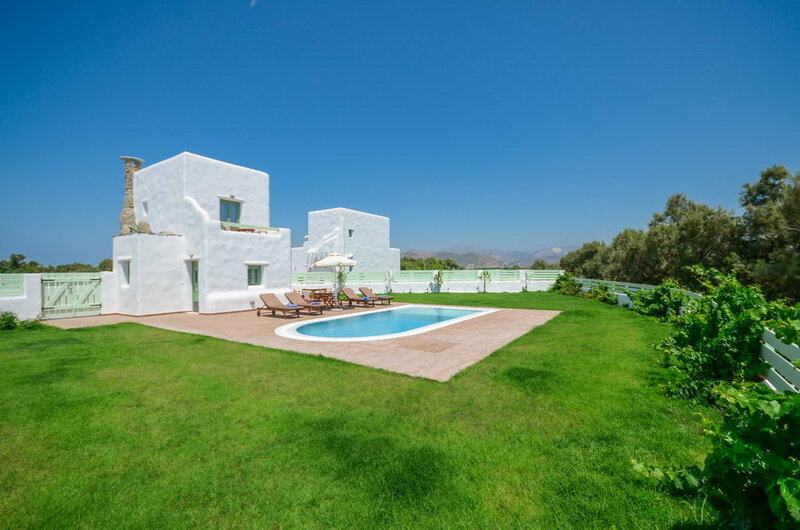 “My Villa”, is a beautiful complex of four brand new maisonette villas located at Saint George Bay in Naxos Town. 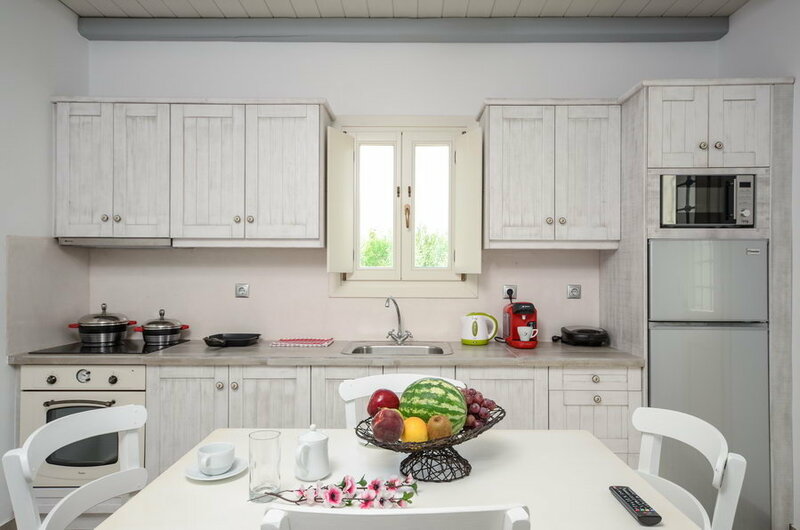 All villas are spacious (75 sq.m. 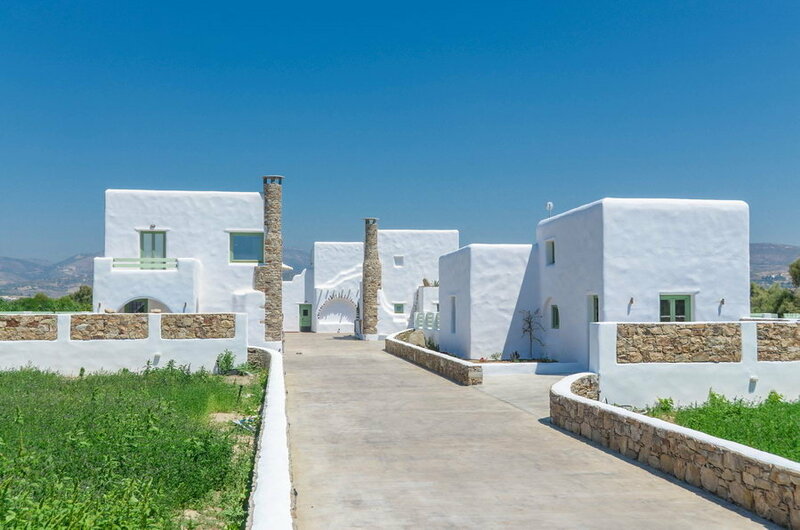 each) and each one is situated on 1000 sq.m. 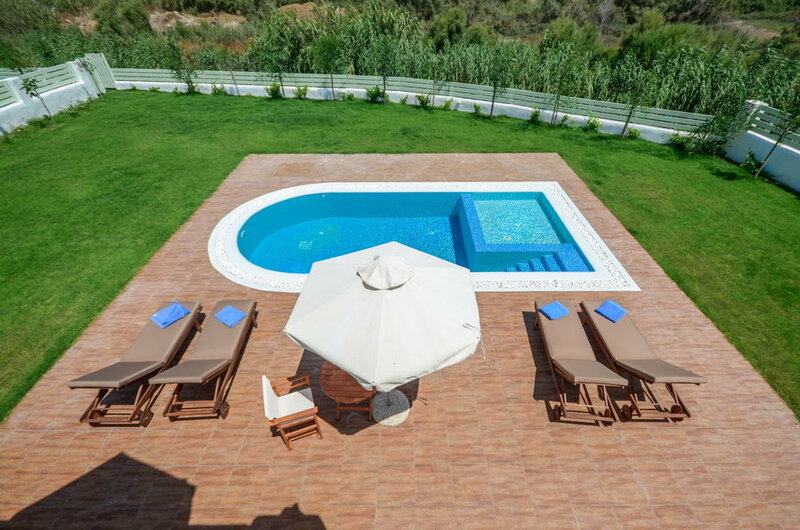 area with its own private swimming pool. 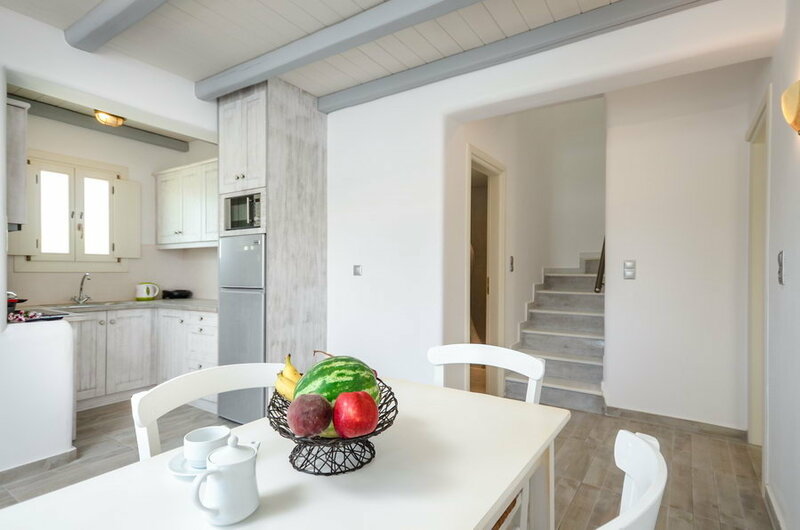 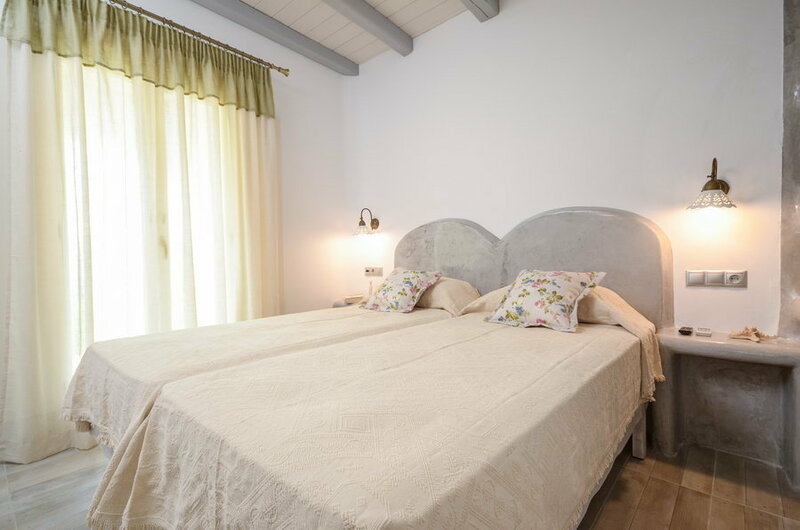 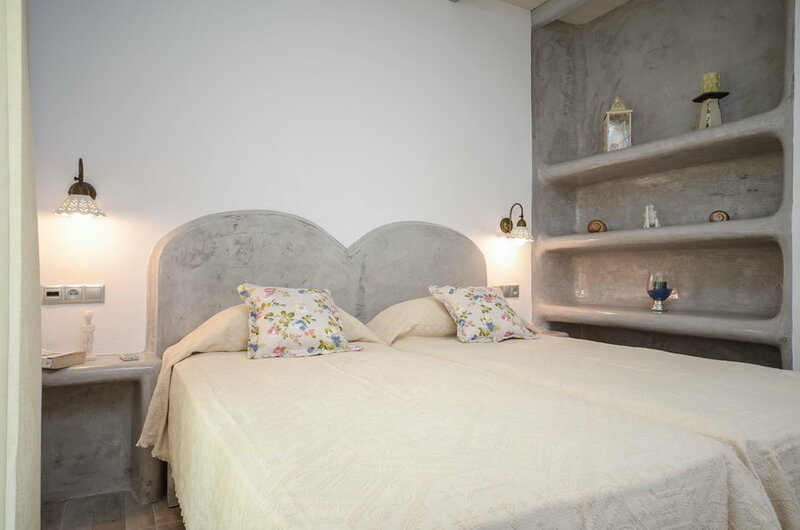 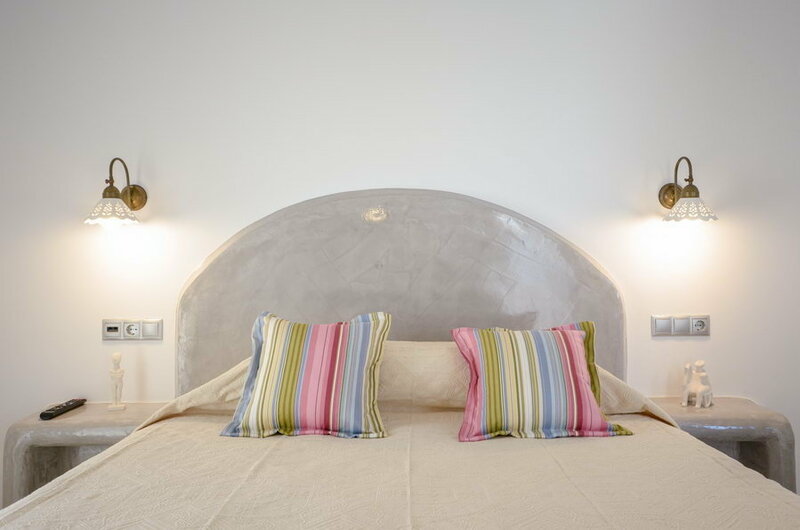 Two bedrooms, two bathrooms and an open plan kitchen and living room constitute each villa which it can accommodate from 2 up to 4 people. 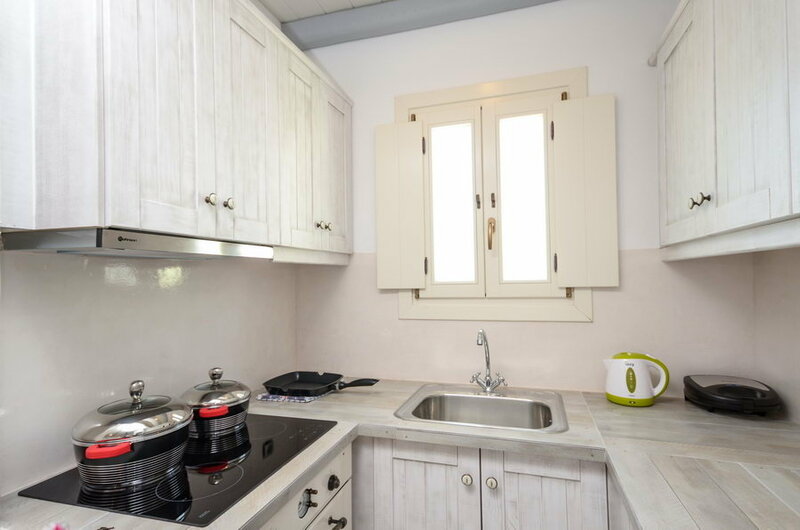 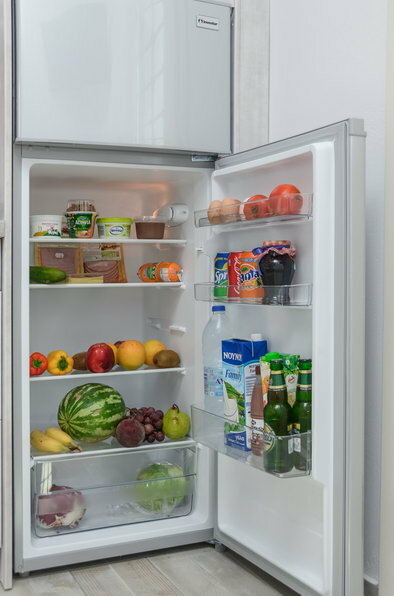 Free Wi-Fi internet access, air-condition in each room, fully equipped kitchen, refrigerator, coffee maker, kettle, microwave, sandwich maker, smart TV, safe box, hair dryer.